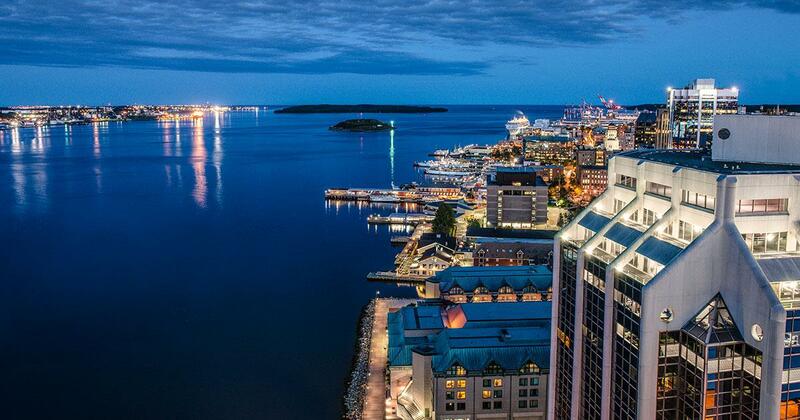 Our beautiful Port City of Halifax & Why we Love it! Halifax has much to offer residents – an unmatched quality of life in a spectacular setting on the Atlantic Ocean. As the region’s economic, cultural, and social center, Halifax, legally known as HRM, the Halifax Regional Municipality, is the capital of the province of Nova Scotia. The regional municipality consists of four former municipalities that were amalgamated in 1996; Halifax, Dartmouth, Bedford, and the Municipality of Halifax County. What people, both Haligonians & tourists, love about the city is that it has all the amenities and conveniences of a large city, without many of the problems and a high cost of living. and the Port of Halifax. Agriculture, fishing, mining, forestry and natural gas extraction are major resource industries found in the rural areas of the municipality. Halifax was ranked by MoneySense magazine as the fourth best place to live in Canada for 2012, placed first on a list of "large cities by quality of life" and placed second in a list of "large cities of the future", both conducted by fDi Magazine for North and South American cities. Additionally, Halifax has consistently placed in the top 10 for business friendliness of North and South American cities, as conducted by fDi Magazine. The downtown core of Halifax is filled with exciting shops and restaurants, national historic sites, urban gardens and parks, and a nationally acclaimed and award-wining boardwalk area. There’s lots to see and do within walking distance of downtown, and throughout the year, there are many cultural and entertainment events that take place around the city. And with so many beaches just a short drive away from the city core, it is no wonder that Nova Scotia is known as Canada's ocean playground. Now for a little fun! Learn some trivia about our beautiful port city! See if you can figure out the one False Fact. Looking for ways to trully enjoy Halifax as a destination? Here are some helpful sites to help you discover more about life in Halifax. Do you love sand between your toes?